For a developer a better perspective on database is always better and it helps to write different layers of application in effective and efficient way. Database in cloud is new buzz and very much appreciative technology. There are two words constitute CLOUD DATABASE. We are very much aware of term DATABASE whereas CLOUD may be newer or ambiguous to us. In very broader term, Cloud can be termed as next generation of Internet. On a normal scenario you find on which server your database is residing. You have very minute level administrative control on database server and you have a physical sense of database server. Whereas imagine if you are not aware of where your database is residing? , you access and perform all operation on database via Internet. Scalability, Manageability and all other administration task on database is performed by some third party. You only pay for the amount of data residing on the database provided by third party. You work on use and pay model. In that case you can say database is in cloud. In this three part article, we are going to focus our discussion to SQL Azure. We will focus on essential aspects need to know about SQL Azure as dot net developer. 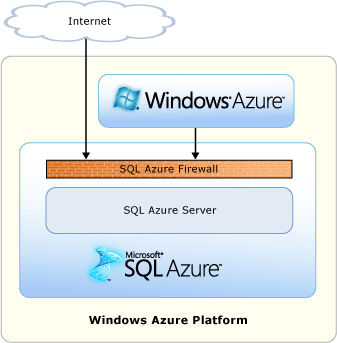 To be very precise on SQL Azure, we can say “SQL Server in cloud is known as SQL Azure “. When you have chosen to create relational database in Microsoft data center then you can say your database is in cloud or in SQL Azure. SQL Azure is cloud based service from Microsoft. It allows you to create your Database in one of the Microsoft Data center. In a very generic statement we can say SQL Azure allows creating Database on the cloud. It provides highly available database. It is based on SQL Server. It supports built in Fault tolerance and no physical administration is required. 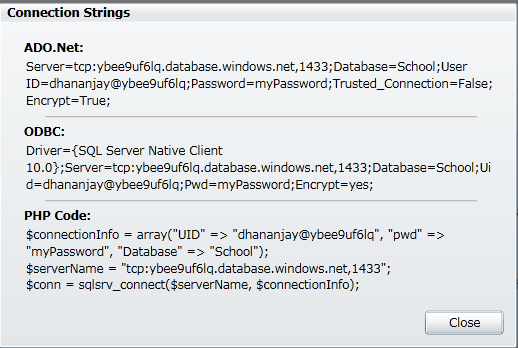 It supports TSQL and SSMS. 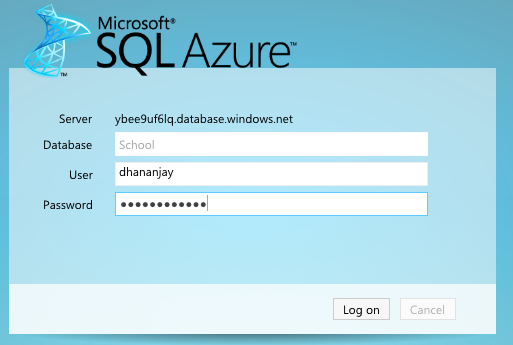 We have done enough of theoretical discussion, now let us login to SQL Azure portal and create a database in the cloud. Click on the project. In this case project name is debugmode. 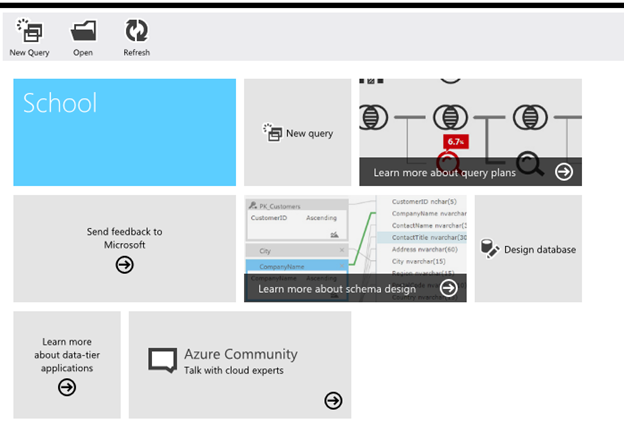 After clicking on project, you will get listed the entire database created in your SQL Azure account. Here in this account there are two database already created. They are master and student database. Master database is default database created by SQL Azure. Give the name of Database. 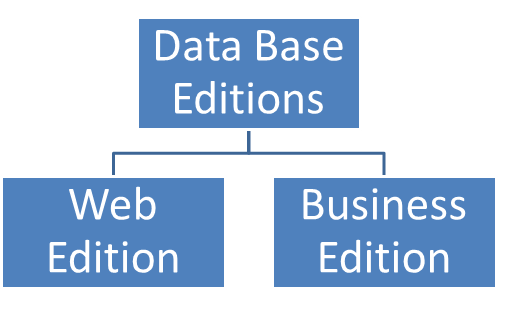 Select the edition as Web or Business and specify the max size of database. 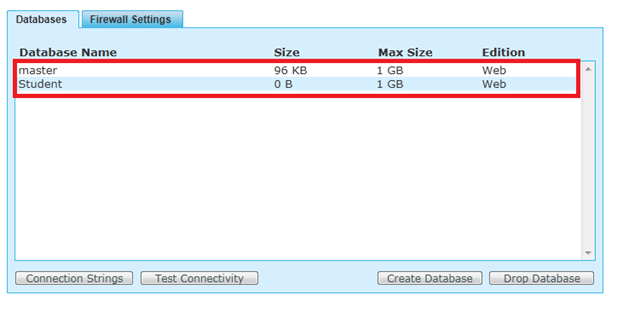 After that click on Create you can see on Databases tab that Demo1 database has been created. SQL Azure portal is having very effective Silverlight based user interactive UI and many more operations can be performed through the UI. There is new database manager and it allows us to perform operations at table and row level. Now we can perform many more operations through Database option of new Windows azure portal. 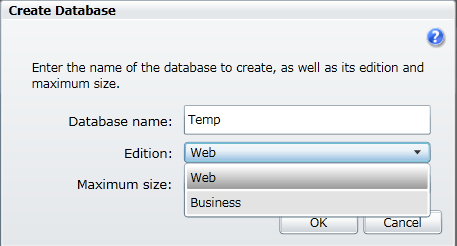 Create / execute queries etc. . . .
You can manage database using Data Base Manager. Accept given term and conditions and click Ok. you will get popup asking password to connect to database. Provide password and click on Connect. For more on this watch the video of the post. In this way, you can perform almost all the basic operations from new SQL Azure Data Base Manager. SQL Azure provides security via Firewall. By default Database created on SQL Azure is blocked by firewall for the security reason. Any try to external access or access from any other Azure application is blocked by firewall. You can copy Connection string from SQL Azure portal as well. 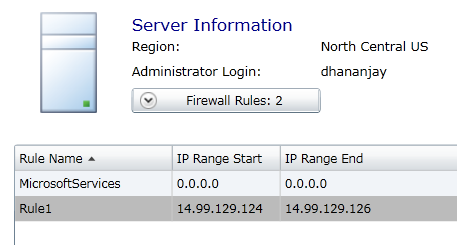 f IP address is in between the range of IP address set as firewall rule of SQL Azure portal then connection get established. 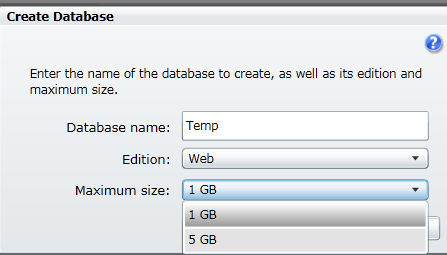 After login to Windows Azure portal, click on Database option and select Database server from left tab. You can see firewall rules listed there. A new rule can be added by clicking on Add button. 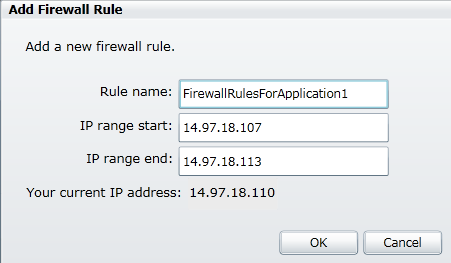 An existing firewall rules can be edited and deleted also by selecting Edit and delete option respectively. In this part we discussed various elementary concepts of cloud database and SQL Azure. In further part we will go deep to understand other essential concepts needed to know as developer. Congrats mate on ur 500th post..Aswome achievement..
Congratulations on completing your 500th post.